Starting a junk removal business seems like a straightforward self-employment idea. People are looking to get rid of junk, and they pay you to do it. Better yet, in a time of affluent baby boomers reaching retirement and downsizing (or at least de-cluttering), there is more opportunity than ever before for household junk services. While junk removal can be a very successful small business, here are eight points that you might weigh while you are deciding whether or not to enter this line of work. 1. Perform market research in your area. Regarding competitor analysis, find out who the local junk haulers are, and try to determine which ones are successful, and why. Call some of them and ask for junk removal prices. This search should include not only independent junk removal providers but also some of the larger junk removal franchise players such as 1-800-GOT-JUNK? and others. To be successful, you need to understand not only the prevailing rates charged but also your cost, including overhead, of properly disposing or recycling junk so that you can determine your profit. You will need to find out rates for various types of junk. Some will go straight to the landfill, while other might be sold to scrap dealers, donated to charities, or other use, and as such impact your cost of removal. 2. Check out the regulatory hurdles. There may be local, state and federal laws applicable to the lawful disposal of junk, and especially hazardous waste. There may be fines applied if disposal is not carried out legally. For example, in Oregon, you will need a transportation certificate to transport scrap metal. 3. Another aspect of your market research might be to take a job with another junk removal company for an initial period so as to gain a better understanding of the business. If you are planning to make an investment to get into your new enterprise, this will help you gain an understanding of the business before investing yourself. 4. If you have a pickup truck, you may wish to advertise on Craigslist or another listing, and take a few jobs for cash, just to see how you like it. With your initial market research already completed, you now have an idea how much to charge. 5. Understand that the entrance of 1-800-Got-Junk? and others have raised the bar on customer expectations for appearance, professionalism, and price. Professional customer service is imperative, however, you have the opportunity to customize your business approach to help differentiate yourself from the big brands. 7. Another point to consider is seasonality. 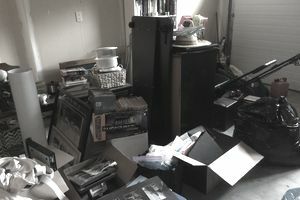 The spring and summer are the busy seasons when it comes to junk removal. Anticipate that these will be your most active seasons, with things slowing down in the fall and winter. 8. After doing the research, you are ready to put together the business plan for your junk removal business. According to Susan Ward, “A business plan is a document that summarizes the operational and financial objectives of a business and contains the detailed plans and budgets showing how the objectives are to be realized.Because the business plan contains detailed financial projections, forecasts about your business's performance, and a marketing plan, it's an incredibly useful tool for business planning. Here is a business plan template to help you get started.